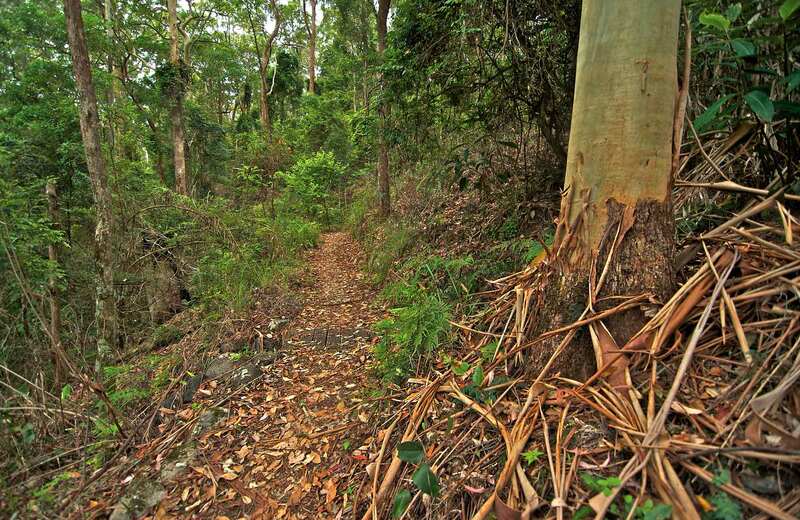 Walk the short and easy Border loop walk through World Heritage-listed rainforest. Enjoy spectacular views from the lookout and finish with a picnic at the end. Take a break from touring the Tweed Range scenic drive and stop in at Border loop. 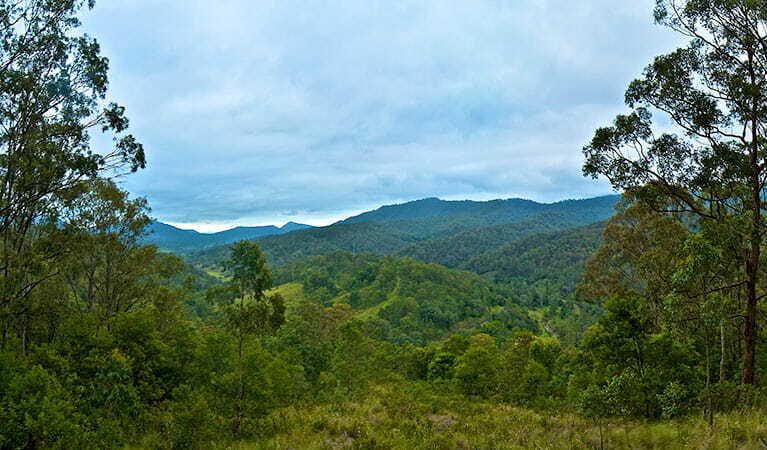 The circuit track leaves from Border loop lookout and picnic area, taking you on a short walk through a canopy of World Heritage-listed rainforest. This forest supports a population of koalas, so make sure you look high into the canopy for a glimpse of an Australian icon. If you’re interested in finding out more about the ancient rainforest plants, be sure to check out the track-side signs as you walk. When you come to the end of the track, spend some time taking in views of Gradys Creek valley and the historic Border loop railway line that tunnels through the McPherson range from Border loop lookout. It’s a great place for a barbecue or picnic lunch. Border Ranges National Park is always open but may have to close at times due to poor weather or fire danger. $8 per vehicle per day. The park uses a self-registration fee collection system at entry. Please bring the correct change and display your receipt.